Loyal readers know I’m always on the lookout for cool golf companies. I love telling their stories and helping spread the word about what they’re doing. 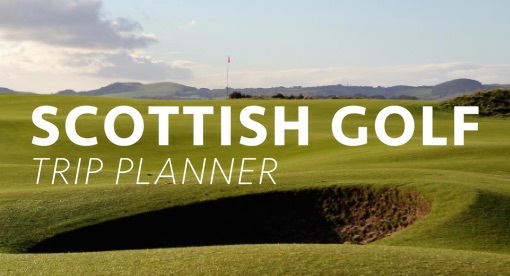 Jason Yip—founder of State Apparel—reached out to me earlier this year when planning a golf trip to Scotland. 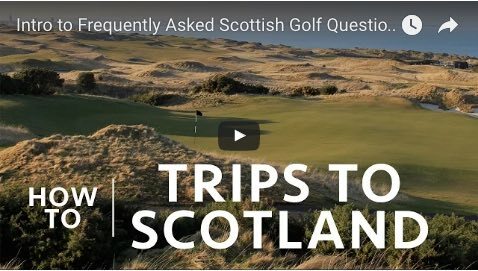 The conversation led to his San Francisco-based golf clothing company and a product he claimed was perfect for Scottish golf trips. It’s a “Competition Pant,” which he claimed would be perfect for a cool weather golf trip. He sent me a pair to test which have traveled with me back and forth to the UK. 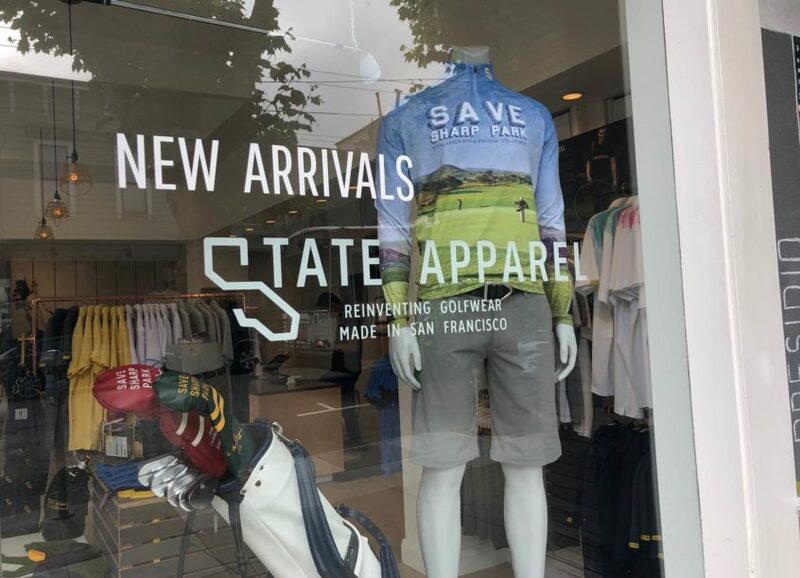 Fortunately, the timing of his email also coincided with a trip to California when I was able to stop by the State Apparel store or as they called it, their urban clubhouse. 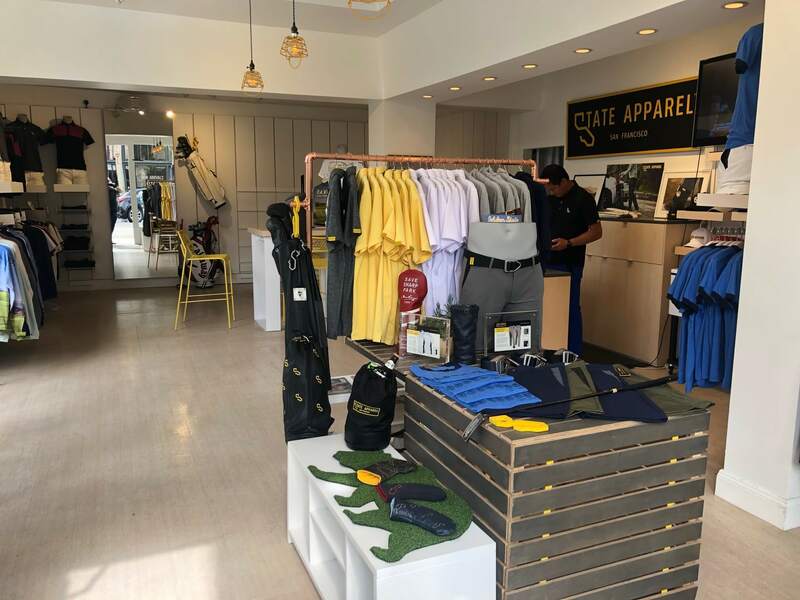 The clubhouse is first and foremost a State Apparel store, but it’s also a hangout for golfers and a pro shop of sorts with products from other companies. It’s a place for San Franciscans to pop in after work, have a beer (there’s a full Yeti in the corner), and hit some balls in the simulator. A TV always has the golf on and for many city-bound players, it’s a golf escape without going to the course. 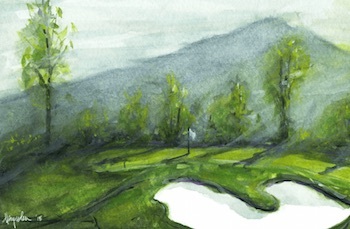 The exterior of the store is a painted mural (coincidentally by my friend Dave Baysden) that features the best public golf courses in the Bay Area. 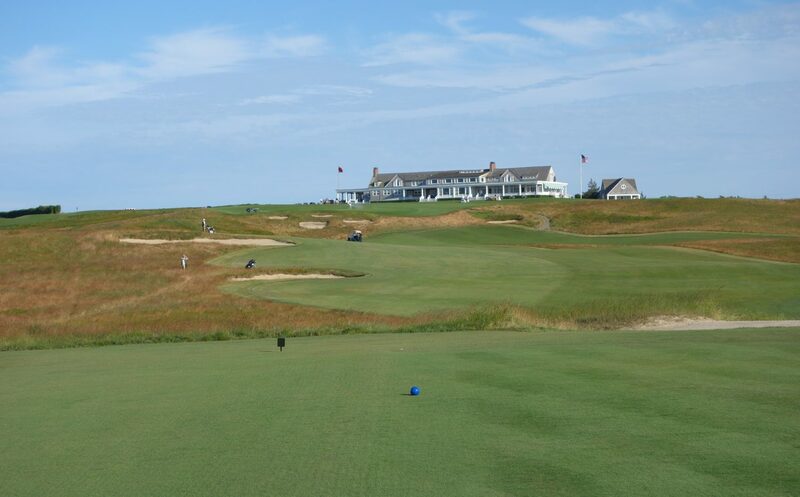 Any golfer walking down Fillmore Street couldn’t miss it. I ended up sitting down at one of the tables to talk golf with Jason for over an hour. The guy totally gets it and is making high-quality products made right in San Francisco. 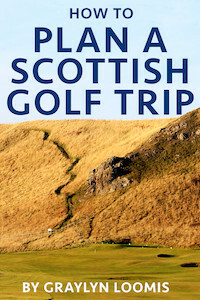 The one that connected most with me—particularly in the context of Scotland golf trips—was the Competition Pant. Prior to trying out these pants I would have questions how trousers could be innovative. 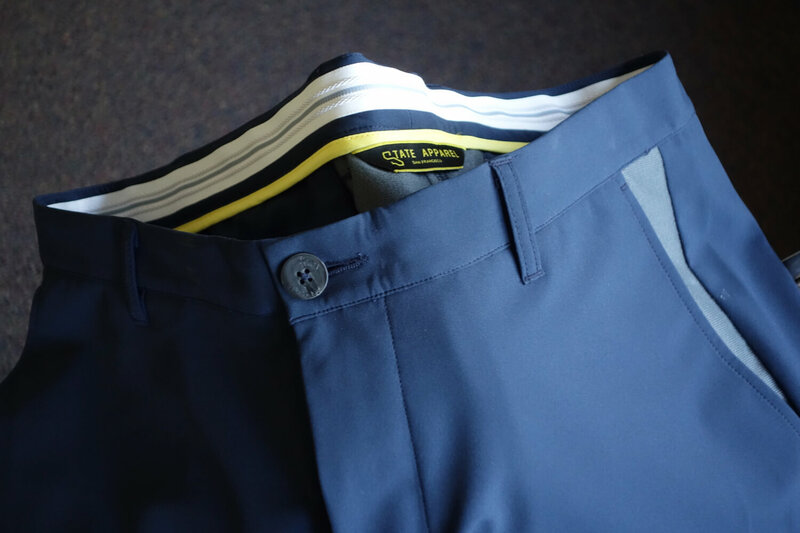 Now that I’ve worn them, my reaction is, “why don’t all golf pants have these features?” The Competition Pant is designed for cool and damp weather (I don’t wear them in weather above 60F). 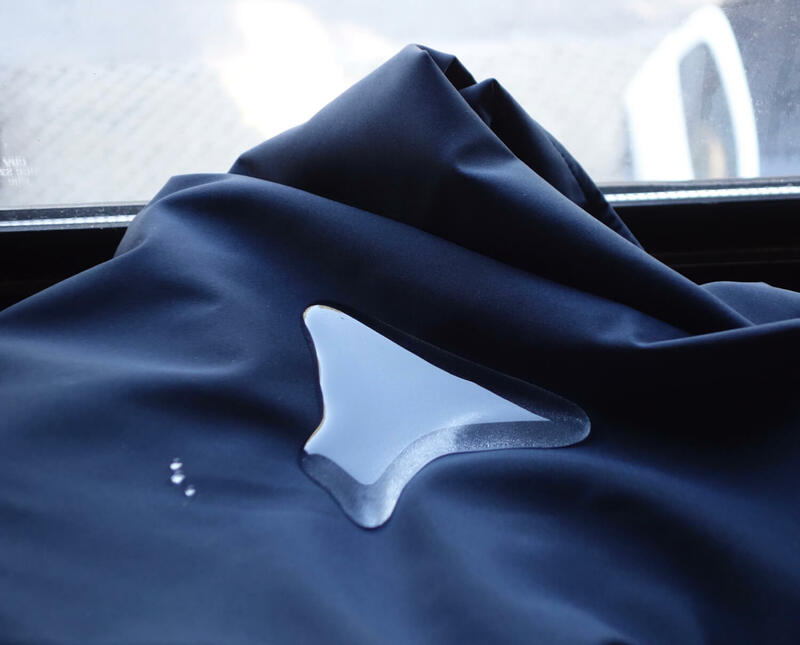 The fabric is three layers designed to be warm and repel light rain. 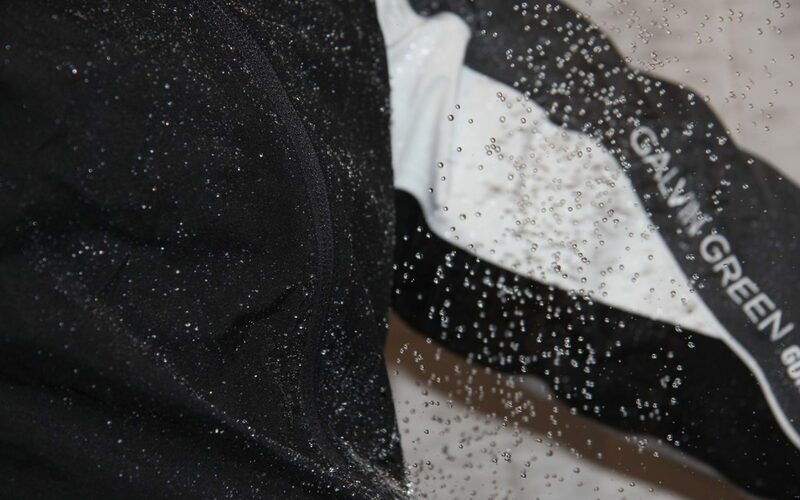 Their use case fits right between a waterproof shell pant and a normal trouser. State Apparel doesn’t claim that the pants are waterproof, but they’re darn close. I recently put the pants in the sink and ran the tap over the knee areas at full blast for over a minute. There was no water penetration at all through the panel. It took filling both pockets with water in the sink to get any moisture to penetrate. 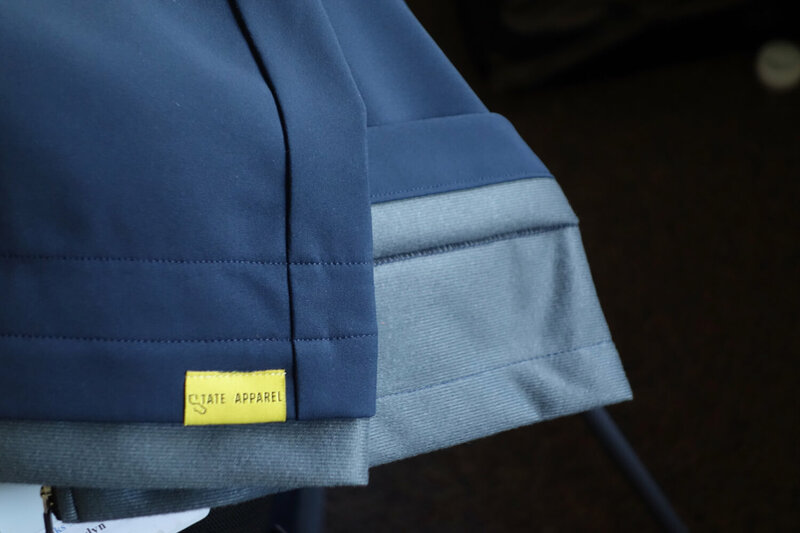 State Apparel promotes their “wiping elements” on the pants which are areas of different fabrics where you can wipe off the clubface (near the ankle) or your hands (at the front and rear pockets). The wiping areas are grey on my pair and you can either turn up the pant leg slightly to use the wiping area at the ankle or leave the cuff down for normal wear. The side pockets are also reinforced with extra fabric and feature separate sections in the pocket themselves. The sections are a larger version of the mini change pocket you find on traditional chinos. Fortunately, these are much larger than the traditional version and you can still access them with large hands or a while wearing a golf glove. As a left hander I also like that both the left and right pockets feature the divided sections instead of just the right on traditional pants. The waist band features a rubber material, which keeps your shirt tucked in throughout a round. It sounds like a small item, but when wearing multiple layers in cold or wet weather I really like my base layer to stay tucked in (and it usually doesn’t with the slick performance material shirts). 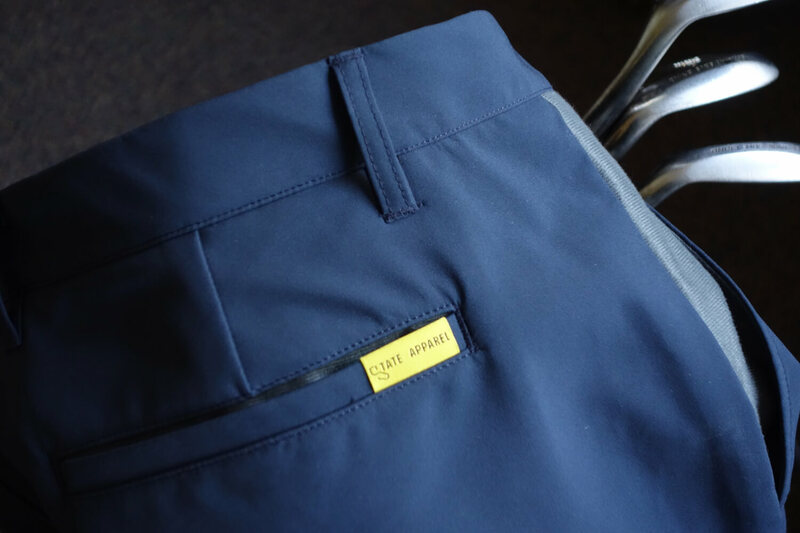 The pants come in navy, khaki, or black and in straight or slim fit. They’re also $205, which shocked me a little bit before I tried my pair on. I realized that they aren’t comparable to my typical Footjoy golf trousers ($90ish), nor my Galvin Green waterproof shell pants ($400ish). 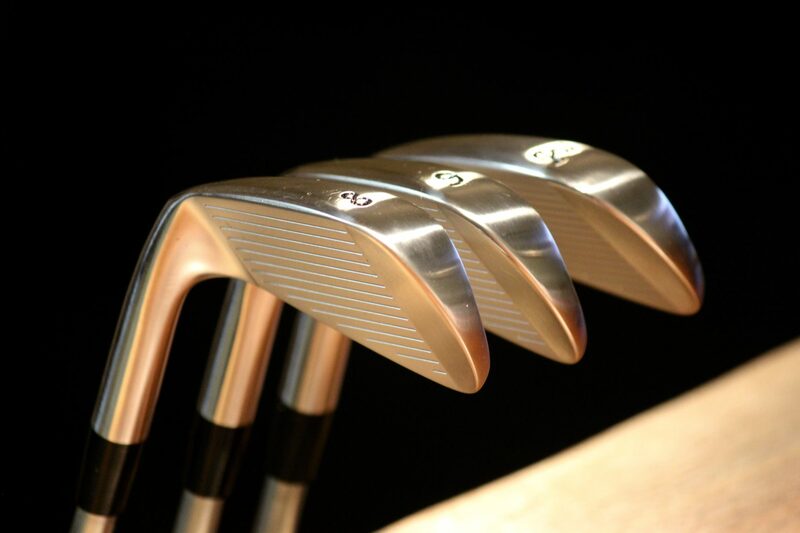 They fit right in between those offerings and are perfect for the average overcast damp Scottish golf day. I imagine they’re also perfect for those foggy Bay Area days when the clouds roll in. 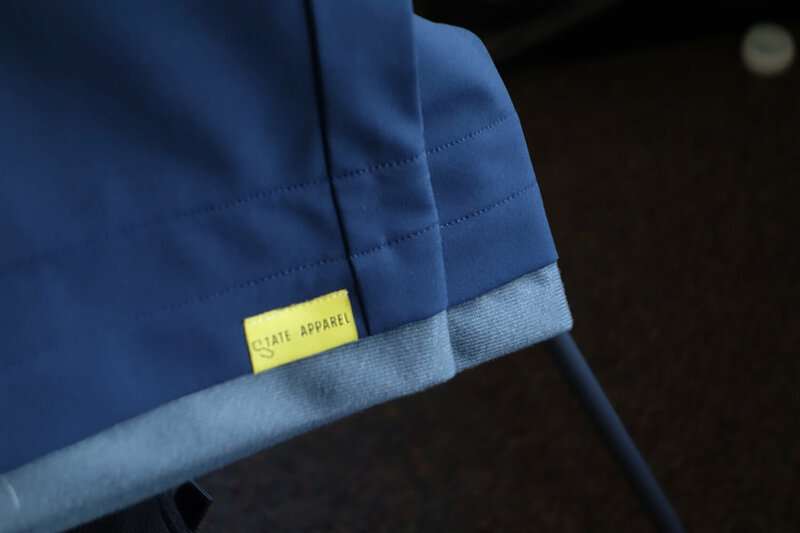 Check out the State Apparel website to see all of their offerings including “normal” pants, shorts, shirts, and more. 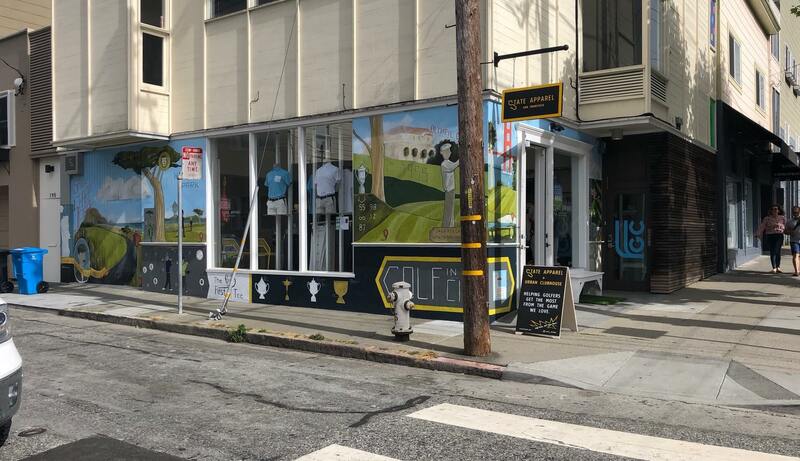 If you’re in San Francisco, also visit the urban clubhouse – it’s a very cool concept and a place where you’ll find likeminded golfers. I plan to support them and hope you will too. 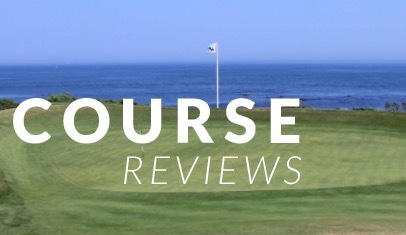 They look good, but when they repeatedly say *golfers on their website they mean *men golfers. Hi Ros, Coincidentally I was just looking at the State Apparel Instagram account and it looks like they’re going to produce ladies’ pants soon! I’m not sure what exactly is on its way, but exciting to see a ladies line starting from them. Hi Susan, great question! I just sent a message over to Jason Yip and he confirmed that ladies Competition Pants will be available late this month or in early February depending on production times. He said they’ll be the same material with many of the same features, but will be more form fitting and appropriate cut-wise for women. I’m sure they’ll add a page to their website with more info when they’re available. I hope your husband enjoys his pair – if you have time following your trip leave another comment to let us all know how it went!